"I can't tell you what this moment will look like. But it will be shocking." 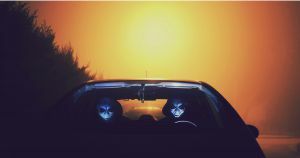 Now, in a new interview with the German magazine Der Spiegel, Loeb opened up further about his thoughts about the hunt for alien life — and what First Contact would mean for human civilization. If humankind were contacted by aliens, Loeb said, it could be the one of the most extraordinary incidents in human history. What first contact would be like, Loeb said, is almost impossible to predict because of all the different ways that life could evolve outside of Earth. But when Der Spiegel asked Loeb what he favorite fictional alien was, he demurred.